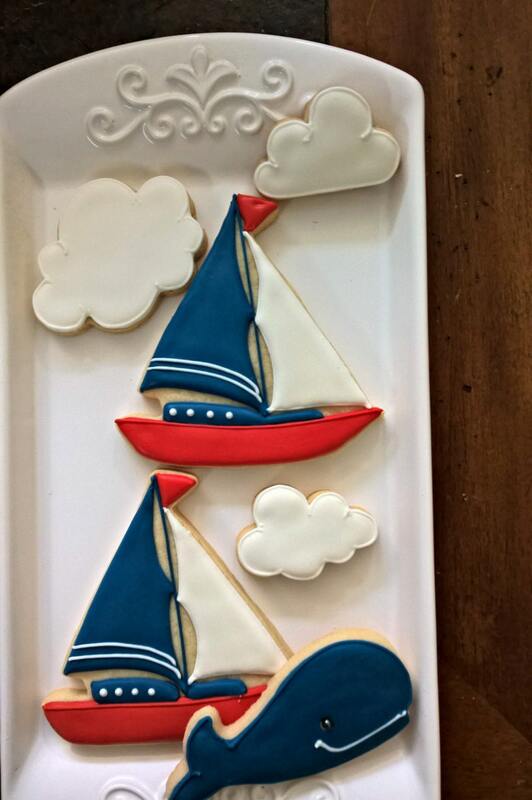 This listing is for 12 pieces of Sailboat Cookies. They are perfect in bright nautical colors. 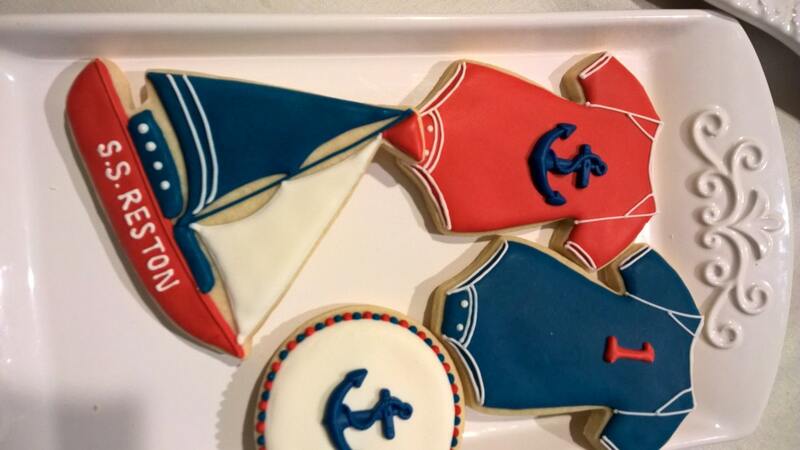 This listing is for the Sailboat shaped cookie only. About 4 1/2 by 4 1/2 inches in size. 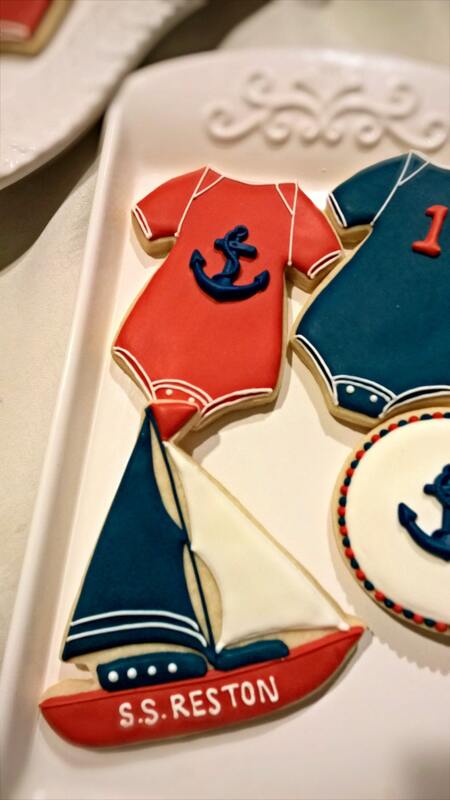 The baby onesie, clouds, lighthouse and round cookies will be in another listing. Customization available. We can add a script for name etc..
Iced with royal icing and will be individually wrapped in 1.2 mil self adhesive resealable cellophane for freshness. They may be left in the bag to serve as party favors. These will also be perfect arranged in a tray without the bags. Colors are definitely customizable. Please see ship announcement for current order turnaround. Beautiful, flawless & delicious cookies! Will definitely buy again!